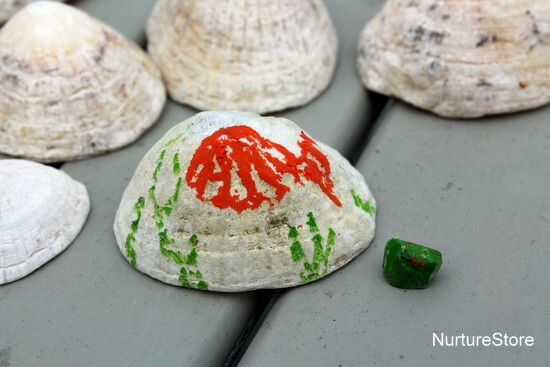 We tried this shell painting while we were at the beach last week and loved it! They turned out to be so beautiful. Here are two techniques you can try for some beach theme art. 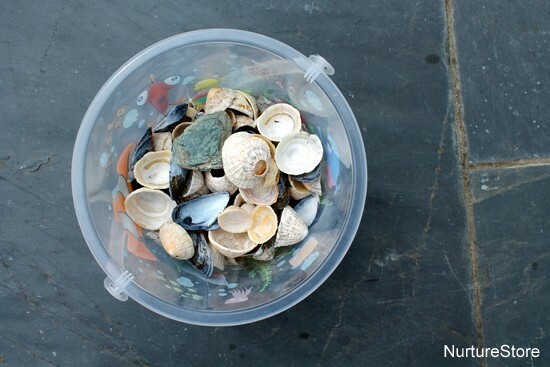 We never manage a trip to the beach without returning with a bucket of shells. They are irresistible! We used limpet shells for this project, which are plentiful around our holiday location of Anglesey – and we always check any shells are empty, and not someone’s home, before we collect them. We used watercolour paints for our project. I love this little kit from Ikea, which is really neat to take out and about with you for some art on the go. 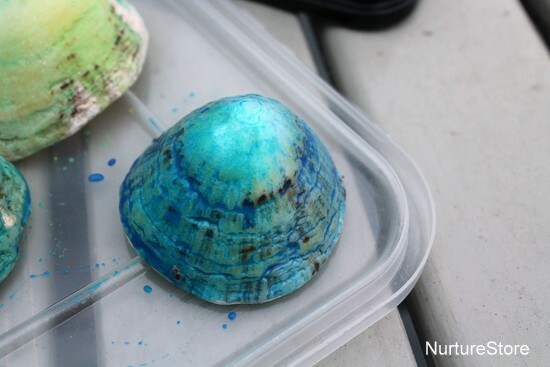 We decided to use an ocean colour theme, and tried applying the paint just to the top of each shell, letting it trickle down to make its own colour mixes and patterns. 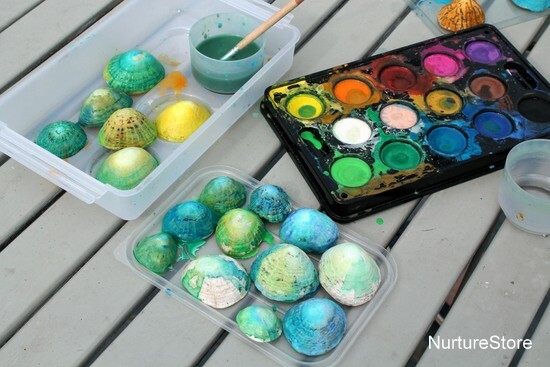 The watercolour paint made the texture of the shells stand out so we could look closely at all the patterns. washing over our design with the watercolour paint. 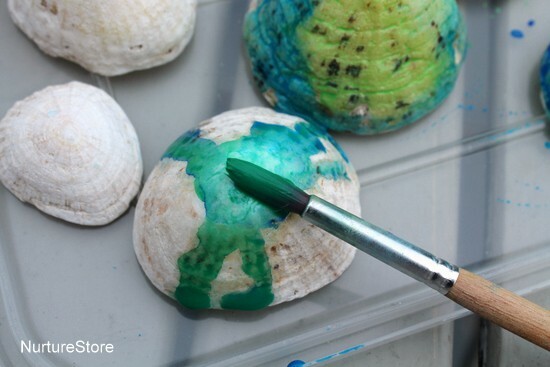 The oil pastels resist the water of the paint, so our under-the-sea scene showed through. 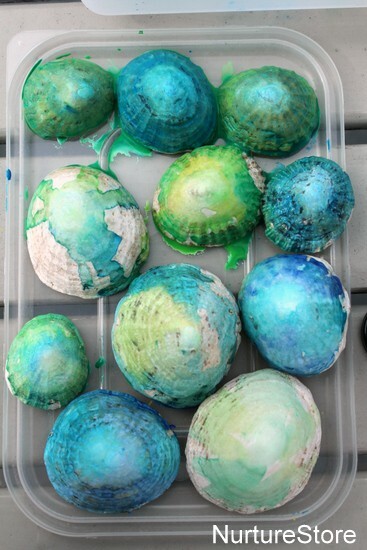 It was quite difficult to draw a clear picture on the shells though, because they were so bumpy. 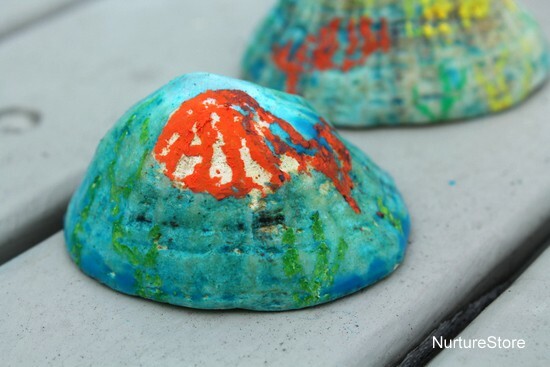 We think our finished shells are beautiful! So many different shades and patterns, and painting outdoors is such a lovely way to spend an afternoon. 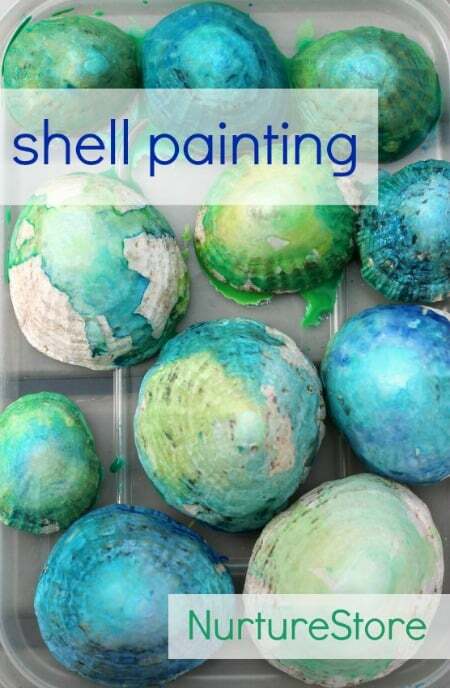 You can find some more ideas for things to do with shells below, and I think we might use these one to make some wind chimes. But for now, they look so pretty on our seaside table. Want to know where fairies go on holiday? Take a look at our fairy shell houses! 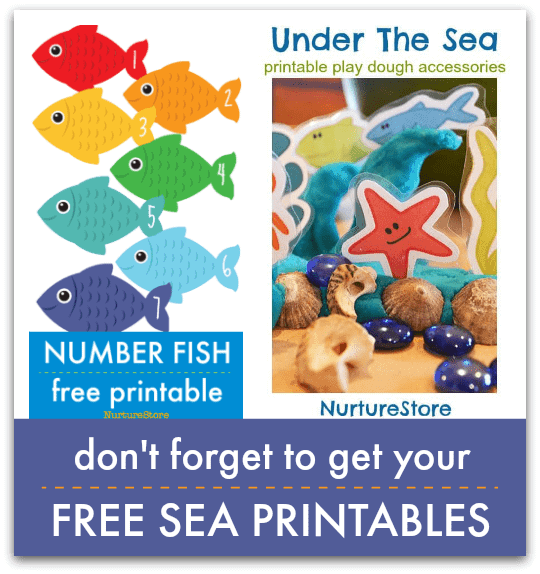 Shells are great in combination with this lemon play dough recipe. You can also use shells to learn sight word spelling. 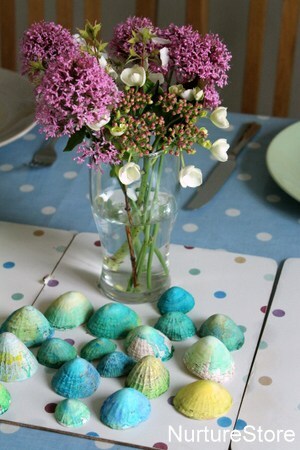 Just when I thought seashells couldn’t get any prettier! 🙂 You’re right – they would make a lovely wind chime too!